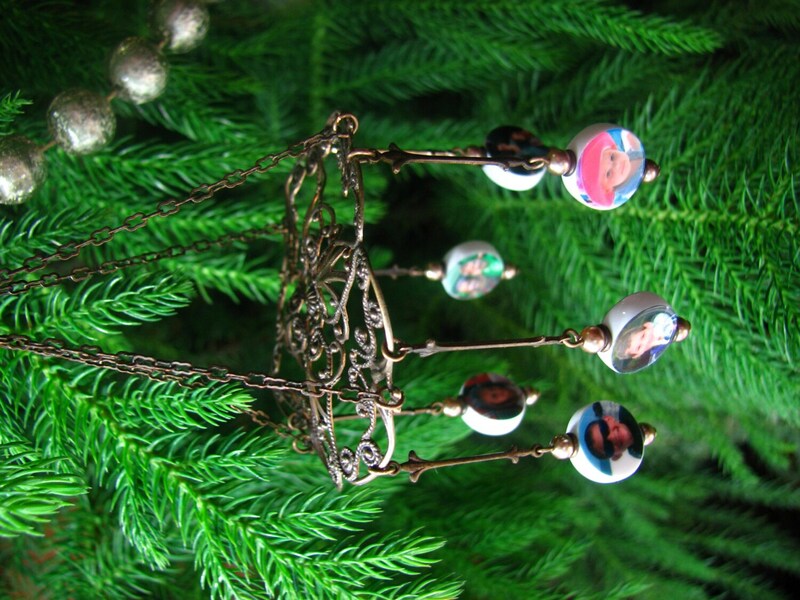 This one of a kind ornament comes with 6, two-sided, round Mini Charms that measure .5" across. You could add a new one each year if you like. The ornament is made with Vintaj® Natural Brass components. 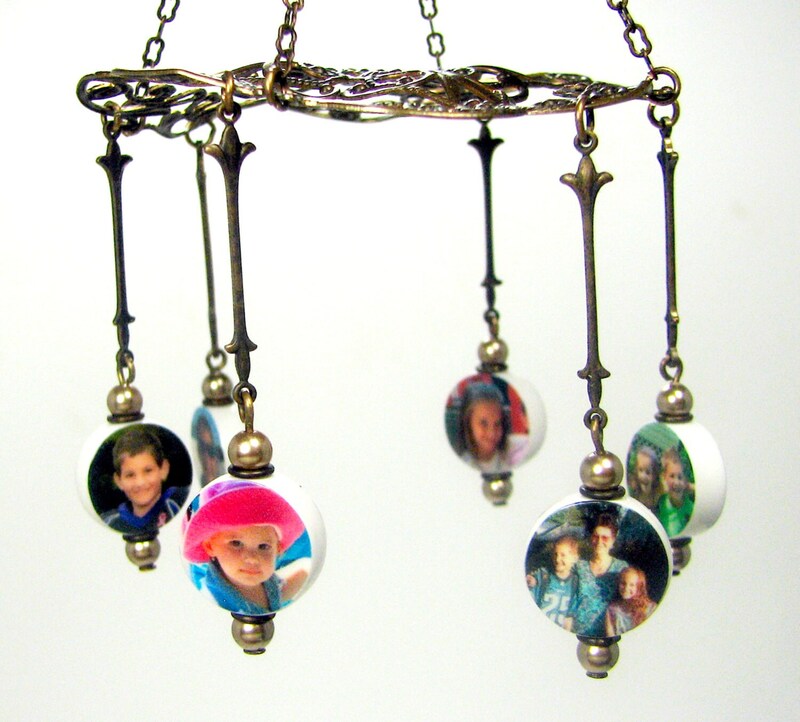 Sadly, not one of these photos shows how cute these photo charms are. I love the way they dangle. 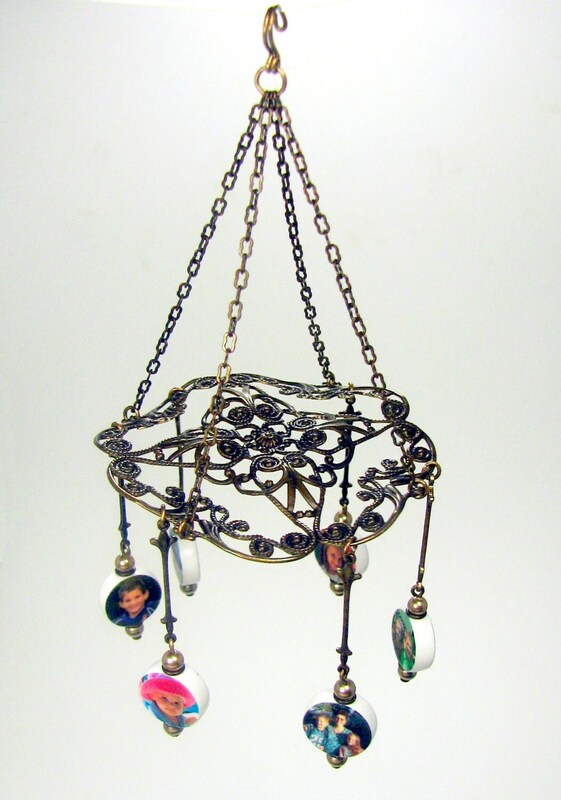 The whole piece measures 2.5" across, and 5" from the top of the hook to the bottom of the charms. It can hold any number of charms in all shapes and sizes. Just send me an message with your request if you need a different arrangement. Vintaj is solid brass - NOT antique plated. It is 85% copper and 15% zinc. It is lead free, nickel free and eco-friendly. 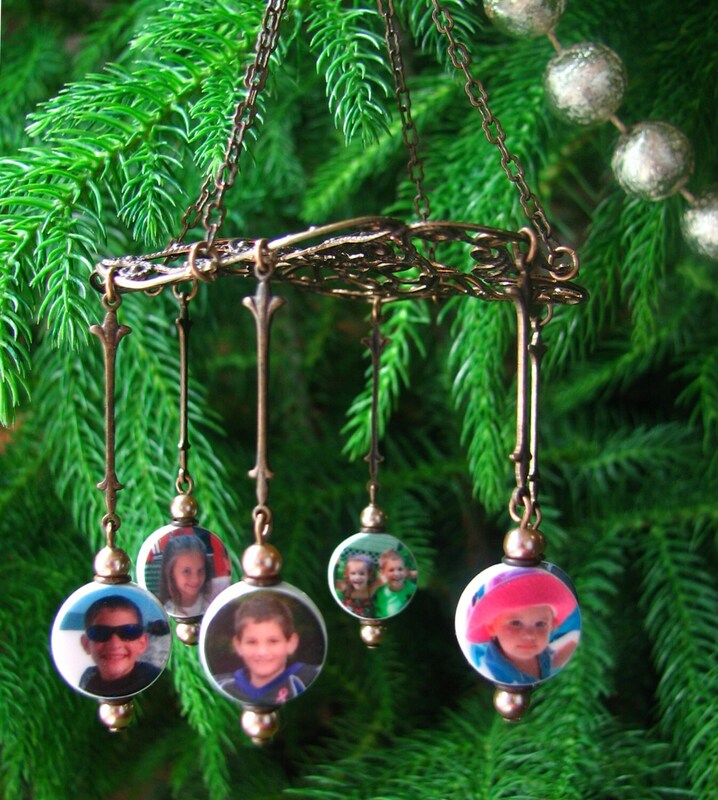 * This listing is for one ornament with 6 photo tiles. 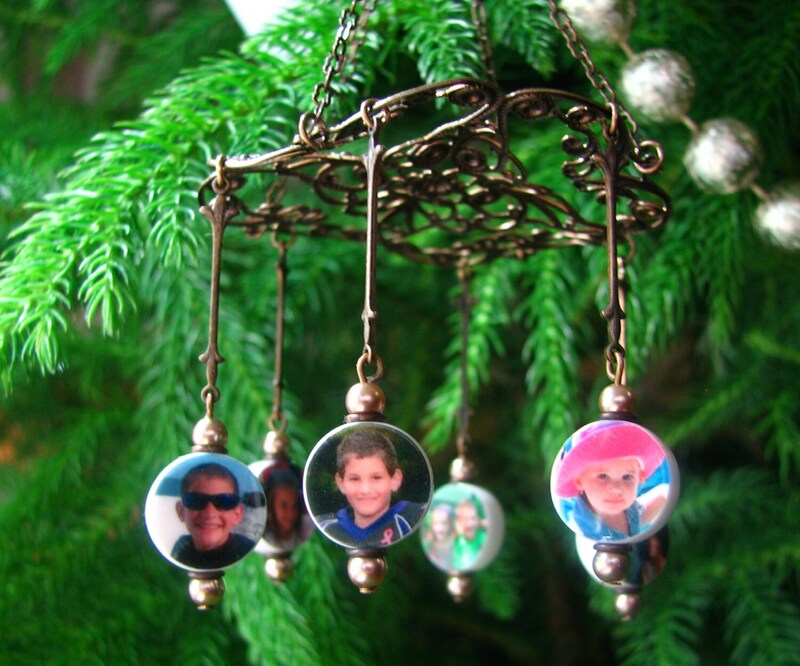 Need to make changes to your ornament? Email me at DJD [!at] Q.com for a quote. No order is too large.